Knowing new year resolution makers visit gyms on mass in January, ebay wanted to tap into the buzz and encourage both new and existing members to treat themselves to some new gym gear. 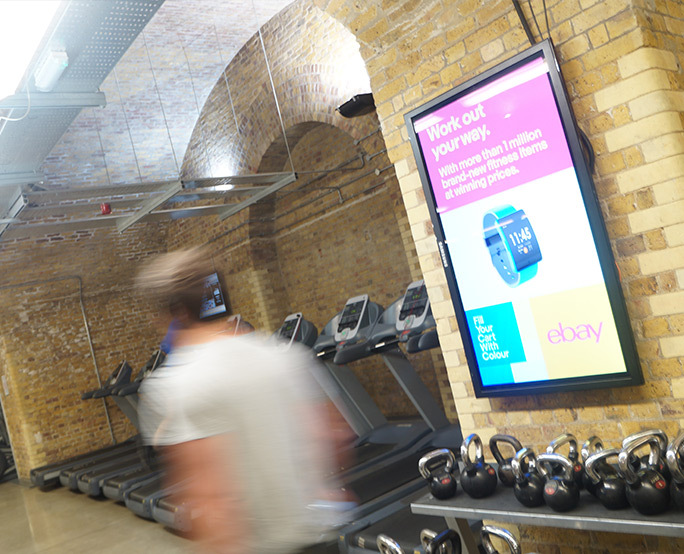 To communicate with gym goers at a time when sports clothing and equipment would be front of mind, ebay used our dynamic D6’s screens to show multiple artwork showcasing their sports range. The campaign reached a total footfall of 9.6m gym members across the 4 week campaign.